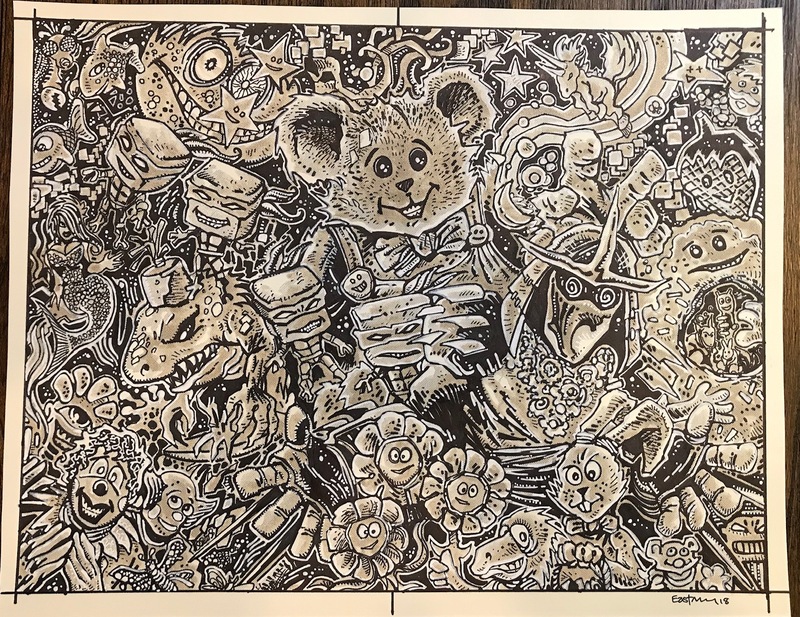 Original works of art directly from the studio. 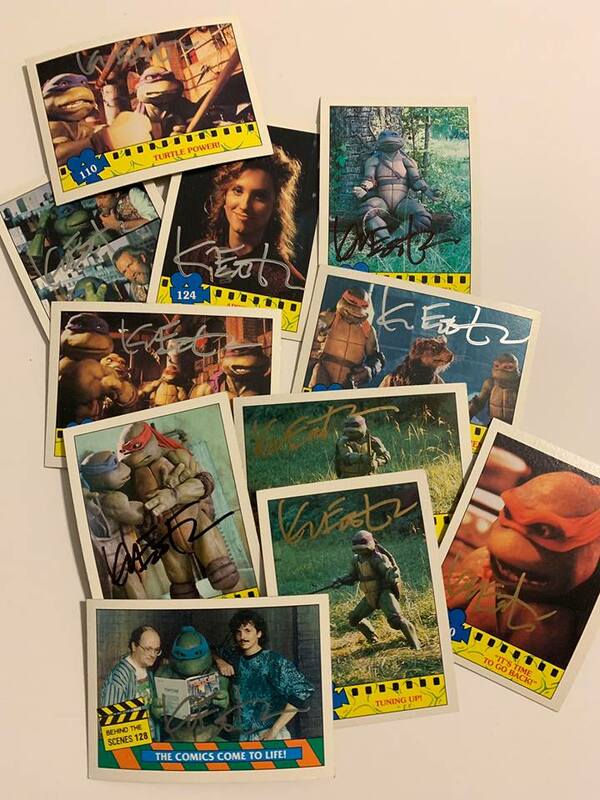 Each is accompanied by a Certificate of Authenticity or a TMNT Time Capsule – both designed and hand signed to provide the provenance you want to accompany OA. 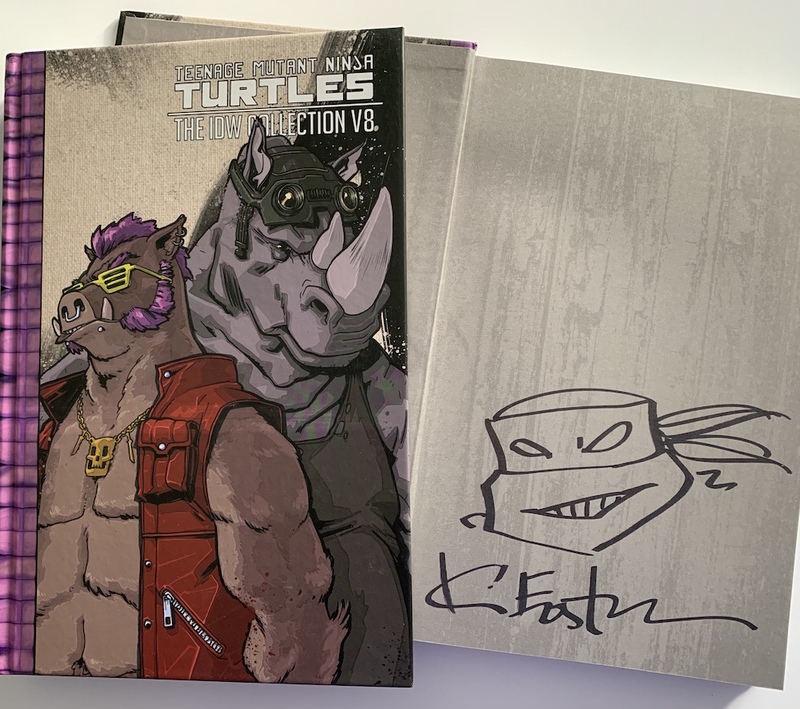 Only a few of these BAD BOYS left – each is signed with a TMNT head sketch remarque – hard cover, limited printings and available now. 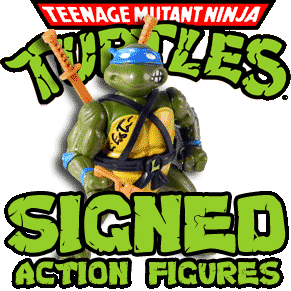 We are clearing our shelves for amazing new stuff coming in. 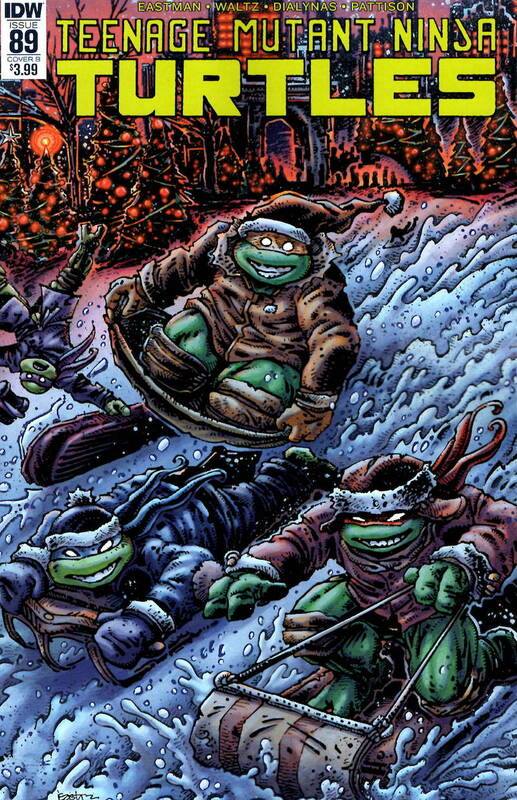 In the comics department now!!!!!!! 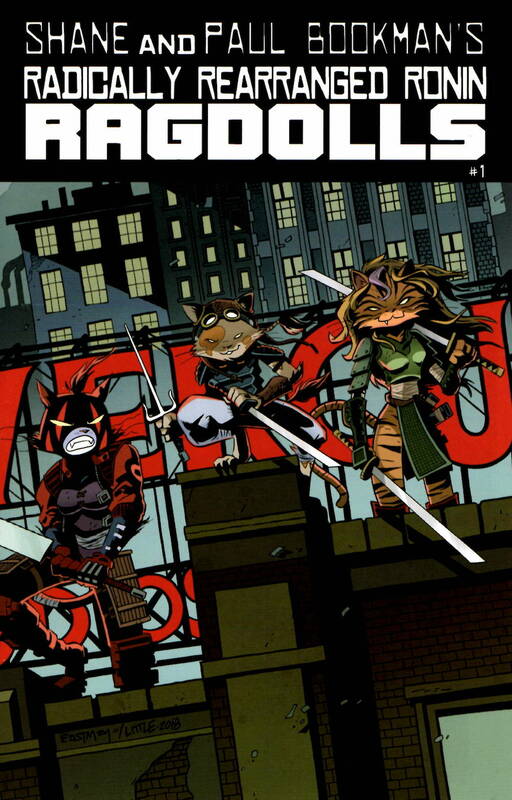 The remaining overstock inventory of the Drawing Blood trade paperback and Radically Rearranged Ronin Ragdolls (RRRR) one-shot is moving fast! 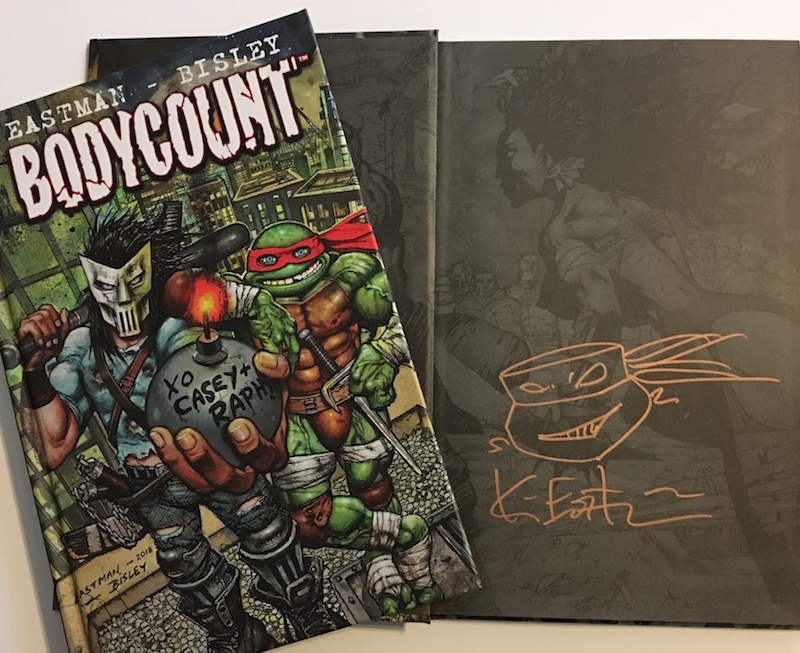 We still have some copies left over after the uber successful Kickstarter we ran – thanks to the BEST BACKERS in the world. 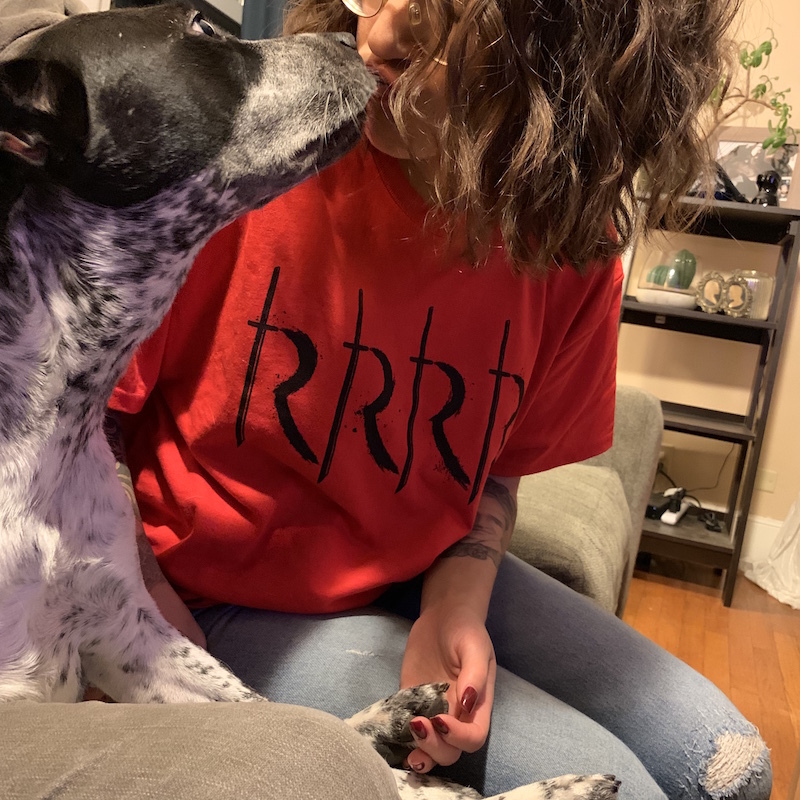 Pick one up if you missed it! 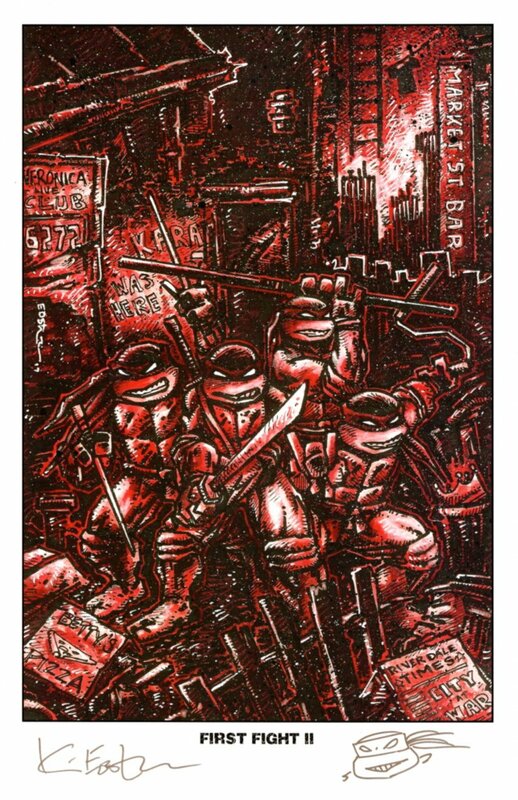 Kevin has produced a new line of 15 stunning 11 x 17 prints. 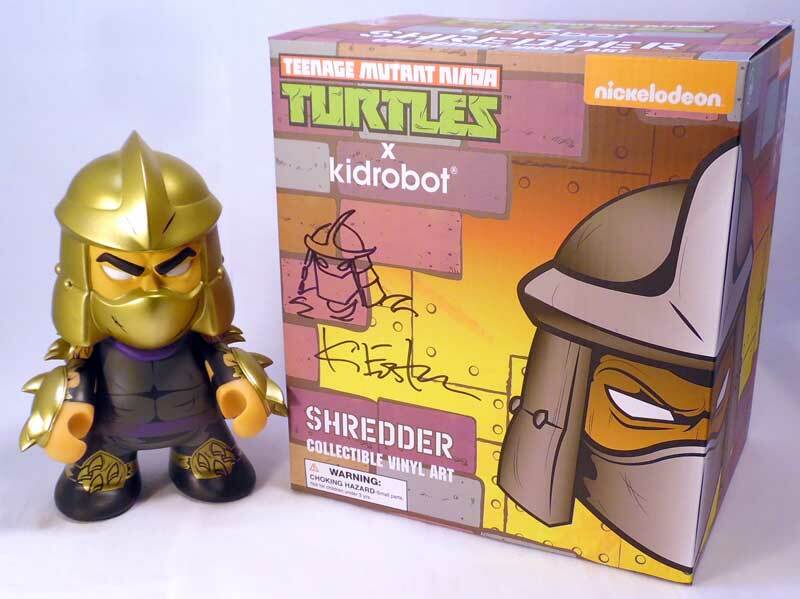 Each is signed in gold metallic ink and most also feature a head sketch remarque. These are available for just $25 each and are of course discounted for Fan Club Members. 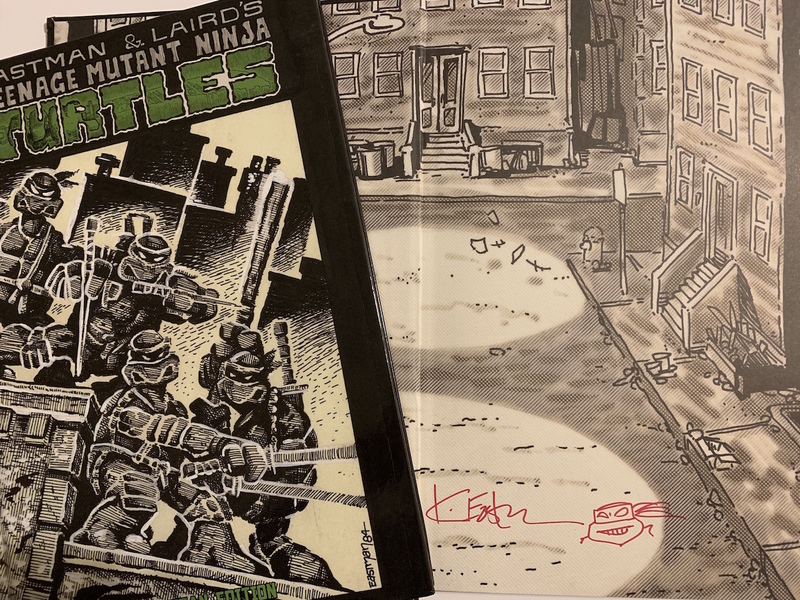 A beautiful oversized book of Kevin Eastman TMNT covers, each one suitable for framing! 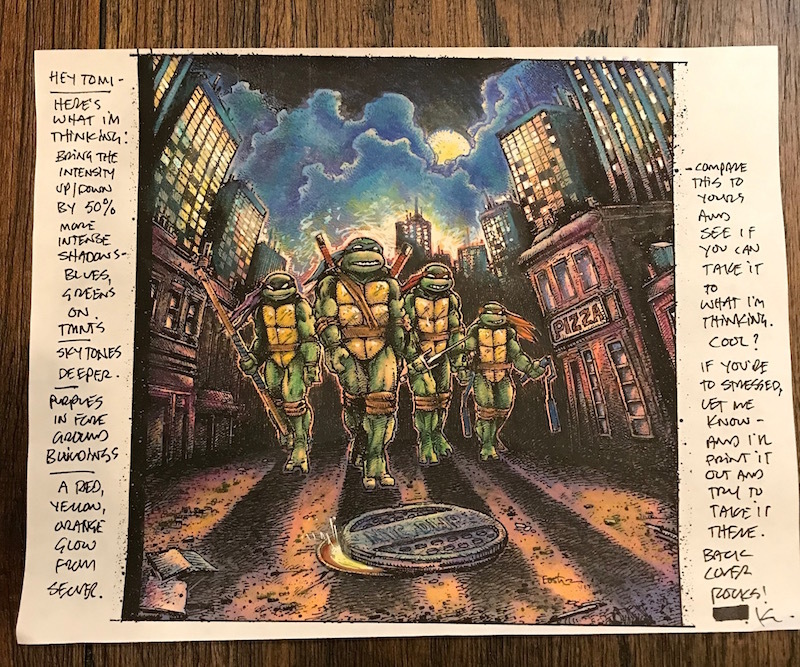 16 terrific Turtle covers, all by TMNT co-creator Kevin Eastman, with perforated edges enabling fans to easily remove any images for framing. Your wall will never look the same! 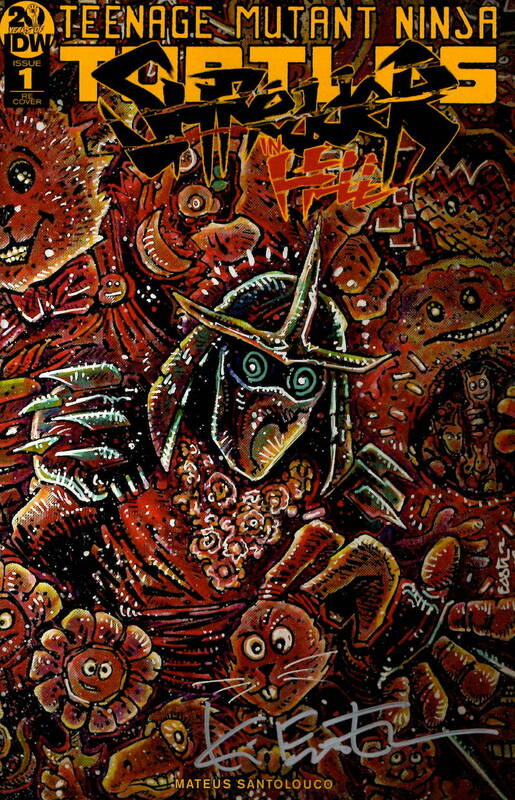 The SHREDDER IN HELL FAN CLUB VARIANT IS IN STOCK NOW!!!!!!!! – Signed and unsigned copies are available. Remember – you have to be a Fan Club Member for these. Just a couple more AWESOME reasons to join the club. 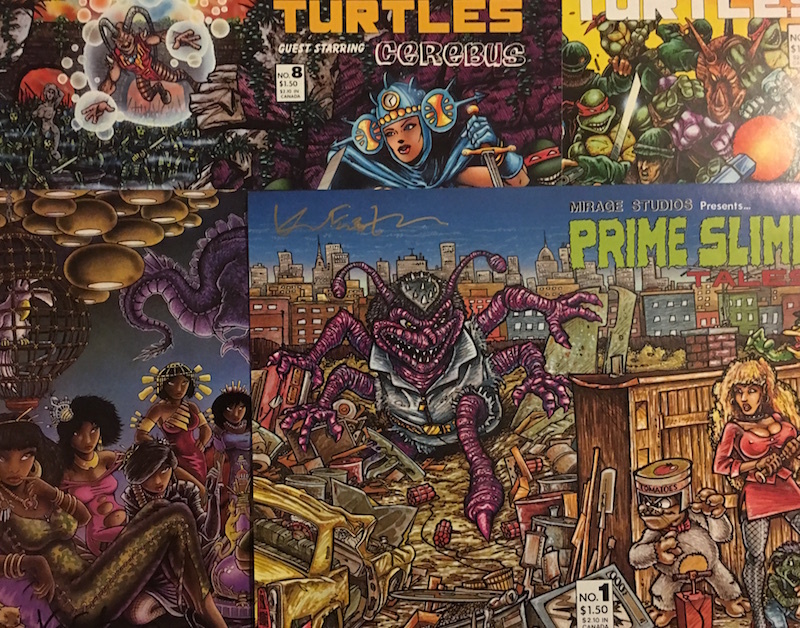 Original works of art by Kevin are a VERY VERY special treat to yourself. 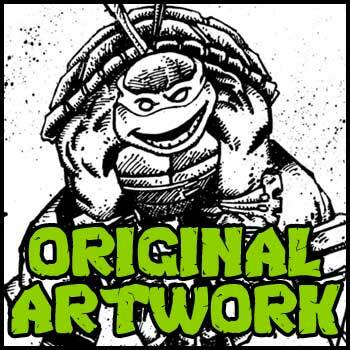 Each original work of art we offer here is accompanied by either  a SIGNED Certificate of Authenticity or a TMNT Time Capsule. These provide the provenance that your original is straight from Kevins studio. 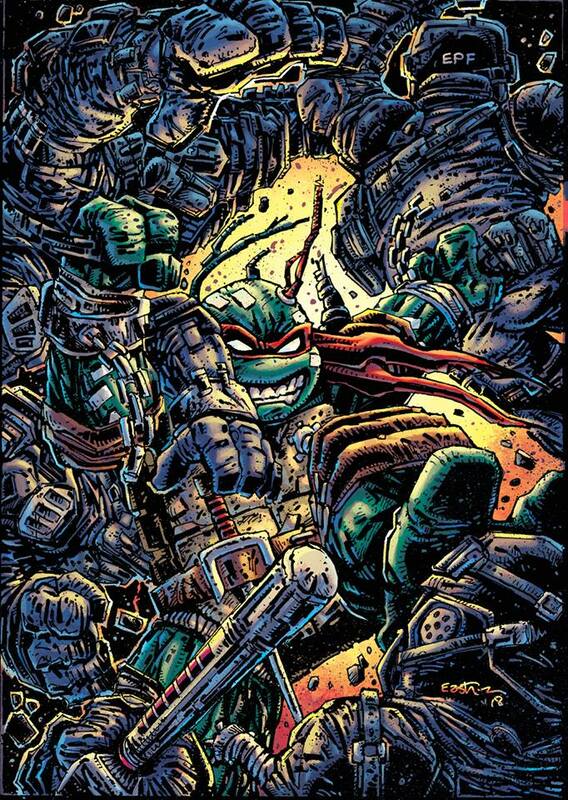 This variant cover is available EXCLUSIVELY from Kevin Eastman Studios with special Fan Club Member pricing. 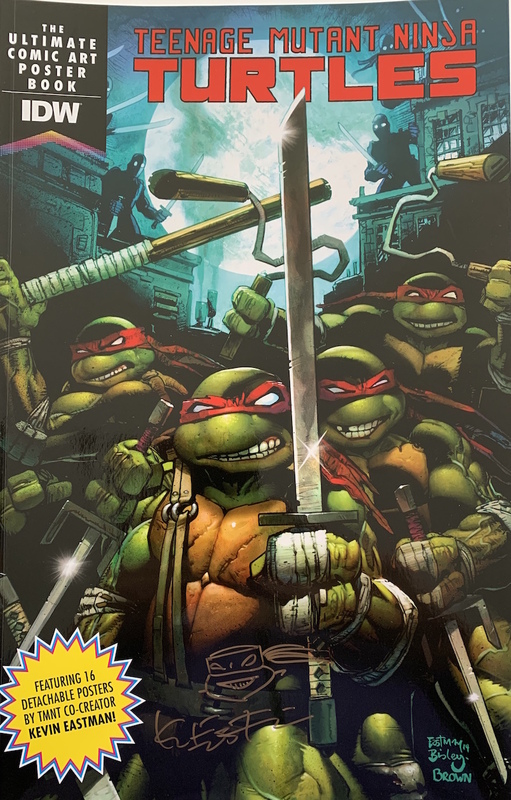 ONLY 500 WERE MADE Available NOW in the Comics Department. 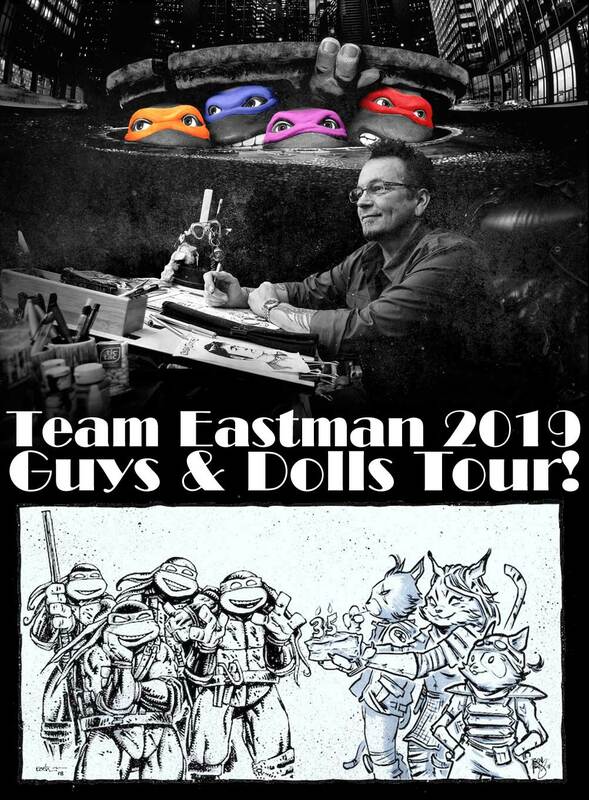 To all our AWESOME Eastman Studios Fan Club Members and supporters we thank you from the bottom of our hearts for all your support and kind words and fabulous social media interactions throughout 2018. Drawing Blood and the Ragdolls! 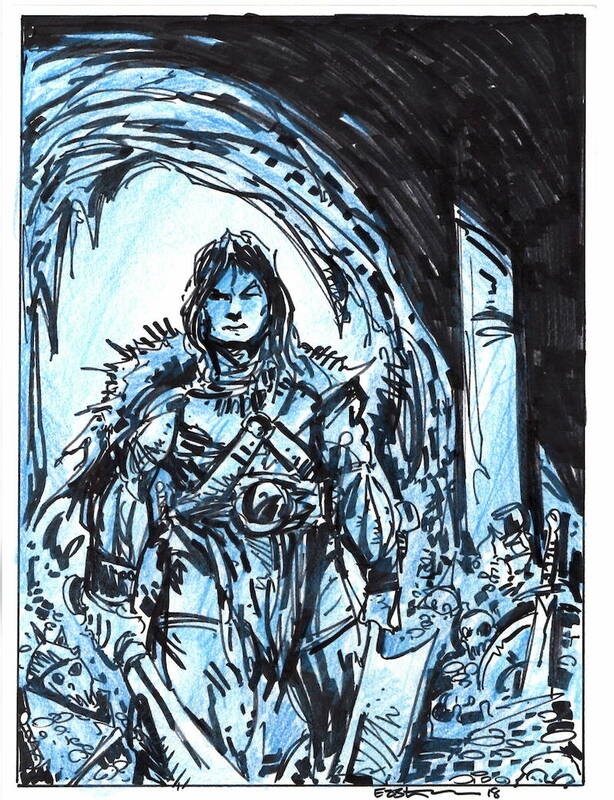 Original works of art with special Fan Club Member pricing were just added to the website, including stunning roughs for Kevins upcoming Savage Sword of Conan – wow!!!!!!! !